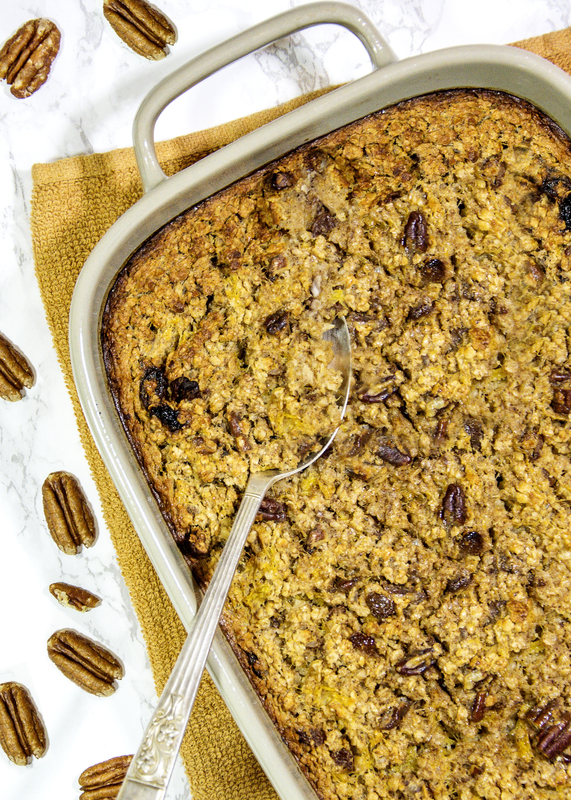 When the weather gets colder start your day off right with my pumpkin maple baked oatmeal! 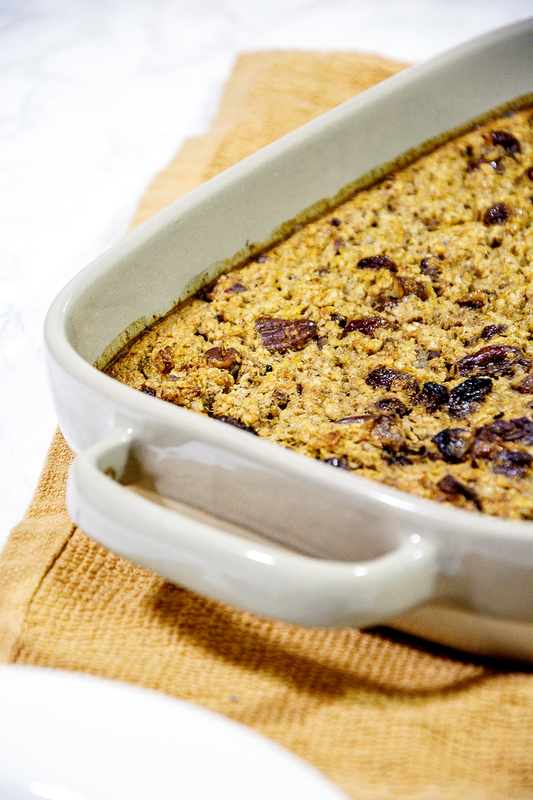 Pumpkin maple baked oatmeal. Boy is it cold here in the UK at the moment. I think I had to de-ice the car for the first time this season in October and I can’t remember ever having to de-ice the car in October so this is definitely an omen of things to come. 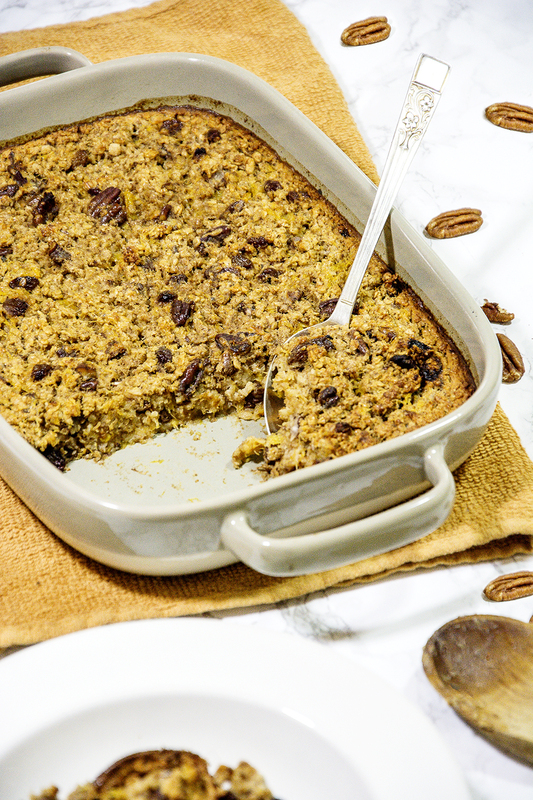 This baked oatmeal recipe is perfect to make in advance and re-heat on those cold autumn/winter mornings when you want extra time under the duvet or make this your weekend healthy breakfast treat. It’s super quick to prepare so you can have it in the oven and be back under the covers with your coffee in no time at all. Pre-heat your oven to 180C. Lightly spray a baking dish with non stick cooking spray. Into a large mixing bowl combine all of the dry ingredients and stir with a spoon to combine and evenly distribute the spices. In another bowl, add all of the wet ingredients and whisk together with a fork or a whisk. Just a light whisk will do, we just want everything combined. Pour the wet mixture into the bowl with the dry and stir again to fully combine everything. Transfer the mix into a baking dish and bake for 25-30 minutes. And there you have it, so easy and so delicious! My pumpkin maple baked oatmeal! If you give this recipe a try please let me know how it goes by tagging @whatseatingmanchester in your social media post! For more recipe inspiration check out my Blog.